Tidy Mart is not only deal in trading, liaisoning of coal with leading Coking Coal Exporter from USA, Ukraine, Indonesia & Australia, but also conform to quality standards which are at par with international standards. Years of experience in this field have given them an edge over others. The greater the volatile matter in coal, the more by-products can be produced. It is generally considered that levels of 26-29 percent of volatile matter in the coal blend are good for coking purposes. 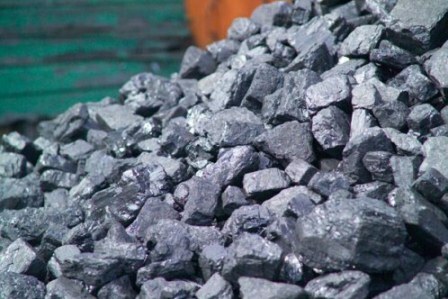 Thus different types of coal are proportionally blended to reach acceptable levels of volatility before the coking process begins. Natural coke is formed when a coal seam is intersected by a volcanic intrusion. These intrusions heat the surrounding coal in an anoxic atmosphere producing coke in a zone (usually several meters) around the intrusion. However, the coke is of wildly varying strength and ash content and is generally considered unsalable except in some cases as a thermal product as it has lost its volatile matter it has lost the ability to be coked again. Coke is used as a fuel and as a reducing agent in smelting iron ore in a blast furnace. It is there to reduce the iron oxide (hematite) in order to collect iron. Since smoke-producing constituents are driven off during the coking of coal, coke forms a desirable fuel for stoves and furnaces in which conditions are not suitable for the complete burning of bituminous coal itself. Coke may be burned with little or no smoke under combustion conditions, while bituminous coal would produce much smoke. Coke was widely used as a substitute for coal in domestic heating following the creation of Smokeless zones in the United Kingdom when the government paid for new grates suitable for the fuel. Ironically the grates required the use of a gas fired poker to light the fuel so the new installation included installation of a gas line adjacent to the fireplace. Most consumers converted to a gas fire designed to work with an existing chimney within a few years. We are mainly sourcing Coking Coal from Indonesia, USA, and Ukraine. For High quality Coking coal from USA, We ensure to keep with in the budget of coking coal landed prices. Shipments on FOB & CNF basis, Shipments are through Major Safe Ports from Indonesia, USA, and Ukraine. Here we attached the entire Coking Coal Specification. We can supply all the Grades of Coking Coal mentioned here. Tidy Mart Provides an LOI form, for Buyer's convince. Buyers are requested to download the LOI from the following link and Fill, Sign, Seal send to our mail ID. TidyMart Supplying Hard Coking Coal, Metallurgical Coal as per the demand of their clients. We are exporting high quality Coking coal / Metallurgical Coal Sourcing from Indonesian, USA and Ukraine. We can supply High quality Coking Coal in various grades. Further if you have any quires related to Indonesian Coal import, kindly mail us with your entire queries. We are here to assist you in every possible way for mutual beneficial.